This is a guest post by Nik @CareerJourney who is a coach who provides business and Career Coaching services. He has worked in some of the coolest companies (Apple Computer) and challenging environments (North Sea Oil Platforms). Nik has been laid off multiple times and now has his own coaching practice. He has a positive outlook on life and is always willing to help his next client on the way to a successful Career Change. Setting-up a small business is a dream for many. Young entrepreneurs / solopreneurs may not think to consider the emotional challenges you have to face when starting up a business. Starting off with optimism is normal. You worked out your products or services based on a brilliant idea you had. You believe many people would love it and you start to market heavily. Initially, not many people seem to be interested or you are getting mixed reactions. This is the stage where pessimism starts to set in. There could be a variety of reasons why things don’t seem to work out at first. Do you really offer value for your clients? Value for money often gets viewed from your own point of view rather then your customers viewpoint. Asking feedback is essential. Talk to other business owners too! Are you using the right channels to sell your produces? Selling dog collars on a website focused on cats is just not right. Are you managing your relationships with your clients well? Poor relationship management will prevent your from growing your business. Getting your customers to sell your service is the ultimate goal. Are you actually making any money? Be honest with yourself. If it takes you 5 hours of effort to sell something that’s worth $25 you need to think again. These are tough questions and if you do not have a clear view, your business model might be faulty! If that is the case the informed pessimism might never turn into optimism since your business is flawed. Being overworked and stressed is not great. Finding the mistakes in your business and working hard to resolve them will help you move beyond “informed pessimism”. Do you understand all your activities and have you documented them? Documented processes will help you to become efficient. Understanding how long each activity takes and what exactly needs to be done is key. Do you have access to all the resources you need to run an effective business? Resources come in all shapes and forms. For a blogger, they are his computer and the Internet. For the invitation writer its paper and envelopes. If a big order comes in do you have the resources to fulfill it? If not you will struggle to grow. Are you leveraging the right partnerships? Partnerships are a solution for many things. Selling your service alongside someone else’s services could set your business alight. For example, selling car iPod connector kits via your local garage could really work well. Having a deal with a paper company so you can order large volumes on short notice will help you to get ready for that big order. Partnerships can be golden, make sure you have them. Clarifying the answers will get you to completion and eventually you will be running a great profitable business. of your business is elbow grease. Yes, just plain hard work. There are some staggering numbers about how many businesses get set-up and how many of those fail. Some of it is due to failure to get a decent business model up and running and some people just realize it’s not for them or they hope to get rich without working. 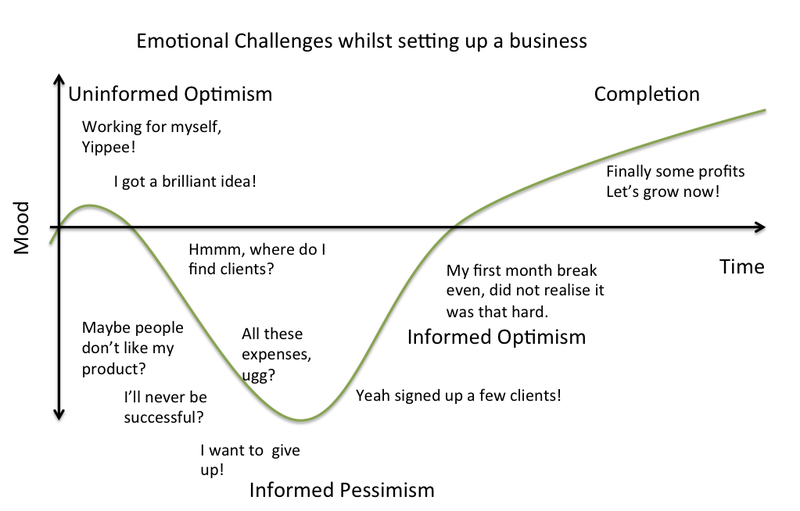 To summarize: Setting up a business can be very emotional. Like most new entrepreneurs you will have to learn a lot and ask yourself lots of questions. Be aware of your emotions but don’t let them rule you. Most small business owners will agree they all had a time when they felt emotionally drained and we all wondered if it would ever work out. Work hard on your business model and success will come. Somehow I can relate to you with setting up this business. Since I do the SEO part of one of my online ecommerce site for a client and we really started so low. I have made it page 1 in google and top1 in the keyword she uses but somehow still did not turn out well in terms of sales. Now i guess around 6 months of struggle it is paying off since my client is able to have sales with a higher denomination which is for me very rewarding and I am happy for her. So it is really patience and unending ways and target other keywords. Also please allow me to share as well Over the last four months I have been learning from an Aussie guy named Timothy Marc on how to build a business that allows you to live a freedom lifestyle. Without a doubt, I have learned some amazing skills in business from this guy, and I am currently seeing some great profits from my own business. I know this post may raise scepticism with some of you, but if this does sound interesting to you, here is a link to my success story on his blog: http://www.freedombusinessblog.com/freedom-business-success-story-tim# and be sure check out his free audio if you like his vibe. Ask a question on the blog too and I will help you any way I can. Love the image and the conversation about partnership value! I’d also be interested to see a layover chart of where most small businesses fail. My gut is its either right at the bottom of the trough or maybe on the uptick…but by the time biz is picking up, the owner is too tired/frustrated to continue. I am sure this will surprise you but most clients their brilliant idea is not brilliant at all. This means most are set-up to fail. Marketing, selling and executing a bad proposition is never going to last. Nik would love you to read ..You Need A Job? Talk To People! I love the chart! It is remarkable that the new businessman would predictably run through those stages. On my blog, I can remember the uninformed startup optimism and the low point, when I realized that I would have to struggle to obtain my goals. Great post. Every small business start can be really hard and tough, but with great plan, idea and strategy can lead you to the great success. That is something what every small business owner dream about! Thank you for so useful article! It took a lot of pains and planning to the perfection to have it started. I used to get sleepless nights, felt emotionally unstable, and times thought of even giving up. But it was my dream and it had to be done. You are right, you need to get the fundamentals right, however you should always try to improve. Looking for perfection at the start could delay revenue or even prevent you from starting at all which would be a shame. Get the basics right and improve from there on. As a small business owner myself, I’ve often said that being your own boss can bring high highs and low lows. Sometimes it feels like your on top of the world and the next your second guessing what you’re doing. Overall it’s really great feeling when you know you have something of value for others, and you can make money doing it. You are absolutely correct about partnerships. I am trying to cultivate partnerships with pizzerias for my everything pizza site. I simply need some partners to provide free pizzas to my readers while at the same time I help promote the partner pizzerias. It goes in line with about adding value to clients. My clients are both partner pizzerias and readers who love pizza. I have to be able to give value to both. Good tips and I’m ready to tackle the job of finding partners with a bit more enthusiasm now. Maybe tomorrow I’ll get my first partner pizzeria. If full blown partnerships are hard why not try mini ones. Partner for 30 days and see what the result is for the both of you. If it works expand. Have a look at your analytics to see where you have reader hotspots since that would probably be best for your partner and you. Thanks for posting nice article,Can you please give me some guidance if I want to start e-commerce site ? Without knowing a lot about your business there are a few things you need to be aware off. If you start a new site your traffic will be low. (unless you are planning to spend a lot on marketing or you buy an existing site) So the first thing is to get products that sell without having to compete with hundreds of other sellers, reasonable demand and make you a good profit margin. For example you sell large 3D TV’S. You make $300 profit per sale. If you have low volumes you could still survive with a few sales. If you make 3$ per sale it’s a different story. So get the balance right when you start and research will be needed. Emotionally it will be a lot tougher for you when you start off wrong since success will take a lot longer and will require you to make more changes in your journey to success. 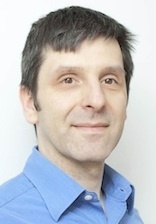 Nik Lemmens would love you to read ..Behavioral Interviews – Are You Prepared? After reading your post, I remember my days and the problems I faced while setting up my own small business. It took a lot of pains and planning to the perfection to have it started. I used to get sleepless nights, felt emotionally unstable, and times thought of even giving up. But it was my dream and it had to be done. Such emotional constraints can prevent you from achieving your goals. You just need to find a way to overcome them. Great you managed to work beyond these problems. Fining out what’s not working and fix it is the only way to achieve your goals. I have recently started my own business after working over 10 years for big companies. I have to agree that it was scary at first financially. Luckily my wife is a marketer and was happy to help me out. The first months were horrible though with barely no work coming in. It is slowly picking up now however. Thinking positive is the key I guess. These seem like normal emotional issues that most starting businesses face at one stage. Giving some value to the customer and making relationship with them is the best way to build trust. This in turn make more sales for your products. A word about your post = Great. you are smart to make a graph like that. Was the inspiration from the experience? Nik Lemmens would love you to read ..What’s up with twitter and getting jobs? I think when people have any emotional problems, then they need jut to have a short break, leave their work for some time, if it’s possible and go somewhere. it can bring excellent results! I have to disagree on this one. Breaks are great for when you are tired and can’t concentrate. When you have emotional problems you need to understand the causes and address them. That graph speaks truth! currently in the valley of feeling like giving up. Maybe i need to go back and rethink out our business plan and models. good article though. Yes sometimes you need to have a good think about what it is you do, who you are doing it for and if it actually makes money. Some business ideas don’t work that well and it is certainly tough when you have either low profit margins or minimal demand. I recently started my own small business….I asked myself most of those questions but not all of them…so I ‘m very grateful for this post…it’s indeed not easy to keep on going when you do not have enough traffic..and in the beginning this is very very normal I guess..but it can make you kinda disappointed..but I will go on and WORK HARD. thanks for this inspiring post. Just make sure all parts of your business work together. If your car is working perfect but missing the right front Tyre you are not going to go very far. In order to make the best of you business lot’s of parts need to work together. Hey this was a great post, very interesting, detailed and full of real stuff. It has been seen that lack of proper funding is a common reason why businesses fail. I completely agree with your blog post. . Keep sharing such more fascinating blogs with us. Hi Chino, Glad you like the article. What in particular would you like me to write about? Is it the transition from employed to self employed or more coming up with a product or service? Maybe you want some clarifications around some of these questions. Let me know and I am happy to put my pen to work for you. Great post, very interesting, detailed and full of real stuff. Also the opening image is simply perfect. What I like most is that it applies to online as well as offline businesses. Now I’ll have to have a look at your website. It was exactly how it was with me. First earnings always mobilize to further work but you have to be patient to get them in first place. One hell of a graph! Depressing, but so many people give up when it all going down. One would advice them to linger on. But does it always work – lingering on, keep trying? Maybe not. Yes giving up is something I hear a lot in my practice. People get stuck at the bottom and want to go back into a regular job. I am always surprised why they think they need a career coach rather then a business coach. When your back hurts you are not going to see the optician are you? I am glad to read this blog and it is full of good advice especially to those who are starting to put up their own small business. Also,this will encourage owners innovate their existing business to be productive. Thank you so much and hope to read more of your posts. Productivity is another key component but there is no point being productive if you do not have a service or product that people want or you do not make any profit on (unless profit is not your goal). Let me give an example, I could optimize my business processes to produce pink cars. Able to turn them pink in no time at low cost is very productive but you can clearly see that the market for pink cars is very limited. Your map is very intuitive. Yet, I can see the value for someone starting out. Oh, I am in the ____ stage. That is normal…see what I can do to get to the next stage, instead of panicking. Of course you will go through the typical emotional stages. But, one had better not be at a critical stage without doing her/his homework. Great list. Yes the problems is that the lack of homework often causes these emotions to swing much harder then you would like. I have worked with brilliant clients and since some small parts of their business model were broken they almost give up a viable business they worked on for almost two years. They struggled with the emotions so much they wanted to go back into the corporate world and give up their dreams. Yes ignoring emotions can have serious consequences. Stress and depression are just around the corner when you don’t adjust and deal with your emotions. It does not matter where you are on the graph, there are ways to get out of it and move forward. Asking these tough questions will help you to propel your business further. Partnerships are some of the toughest things to manage well. Think about in, in any business everyone who is emotionally involved has a green line. Not all these lines run in parallel either so your business can quickly become a melting pot of emotions based on the different directions everyone wants to go. I think it’s the proper documentation of all the processes where most of the small business owners fail to hit the mark. It’s pretty easy to let pessimism engulf oneself if results take time to appear. You’ve shared some of the most fundamental (as well as powerful) tips that small businesses should always abide by in order to achieve early success and maintain a positive attitude. Thanks for the brilliant tips, Nik. I am sure if you created some killer post, infographic or something special and you got nothing to show for it for sure it will impact your emotions. Please do think about your statement in a bit more detail because it sounds logic that you should treat others the way you like to be treated but in all fairness you assume that everyone like to be treated like you and that is an assumption you cannot make. I believe you should treat people the way they like to be treated. What do you think? There’s a balance, I suppose, and I think you both have it right – treat others *well* is the basic meaning here, right? We assume that everyone wants to be treated…kindly? So we do that as far as we can, but sometimes we must use a certain amount of judgement, at times when treating someone “kindly” is actually going to do more harm than good.. it’s not as complicated as we’ve all made it sound! I think you’ve depicted my businesses progresses perfect with that graph! Down to the finest detail, its rather scary. It hits you hard when you realize that you have a great idea but do not have a clue where to find potential clients! Yah i agree with paul.your post is very informational for those who want to build a small business.you need to look these all fields to promote your small business. you should consider your target audience,your channel of promotion,your interaction with clients etc. With right idea, passion and with lot of hard work small business startup owner only can succeed. Great guest post! Great Article. Starting a business is really an achievement because not everybody can afford to. Being optimistic is important you have to view that people will love the product or service you offer. Negative feedback is natural as you can not please everybody. The important thing is you learn how to handle the criticism and use it as an opportunity to grow and improve. I don’t think all negative feedback should be seen as negative. Being able to see the flaws in your business and improve often comes via feedback. I love feedback, the more the better because some of it will improve my business. Do you also have your own start up? Good luck! Yes I started my business in May 2011. I am doing very well at the moment. Nice article! Starting your own business can definitely be scary, but hard work and having realistic goals can definitely pay off in the end. Glad you like it. Hard work is a big ingredient but having a viable business is all about delivering something others want. If you offer no value you will reach the end of the road very quickly. Very informational and I thank you for you this great article. I hope to read more on your blog! Keep up the hard work Nik!